Currently the program window of QuickTextPaste you can maximize from Version 3.71. and the list view! If you want to enlarge the list view, click on the button (... see Image-1 Arrow-1)! From version 3.71 you can change the size of the QuickTextPaste window itself! See also: ► Date Time Format in QuickTextPaste! ► restore the clipboard? (Image-1) Maximize List-View in Quick-Text-Paste! 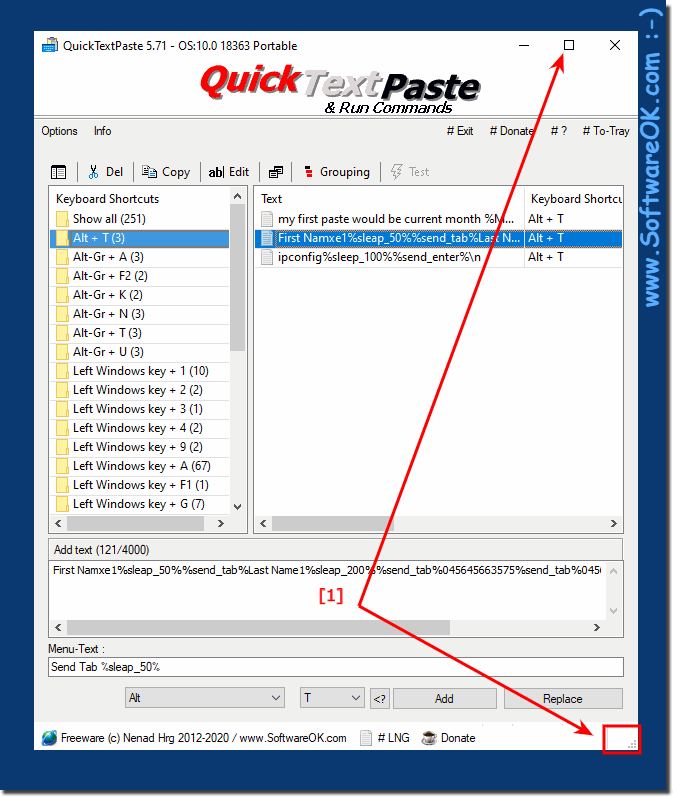 QuickTextPaste - FAQ-16: Maximize QuickTextPaste to see more information, how to?